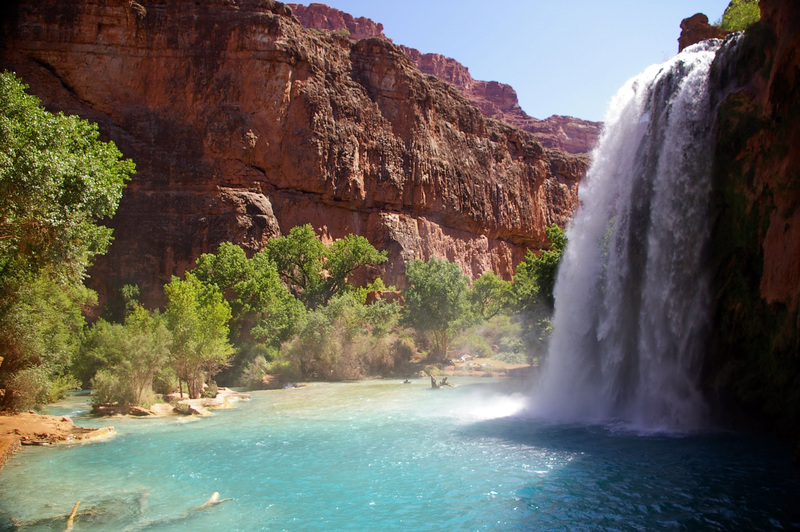 On the Havasupai Indian Reservation within Grand Canyon National Park in Arizona you will find the gorgeous Havasu Falls. 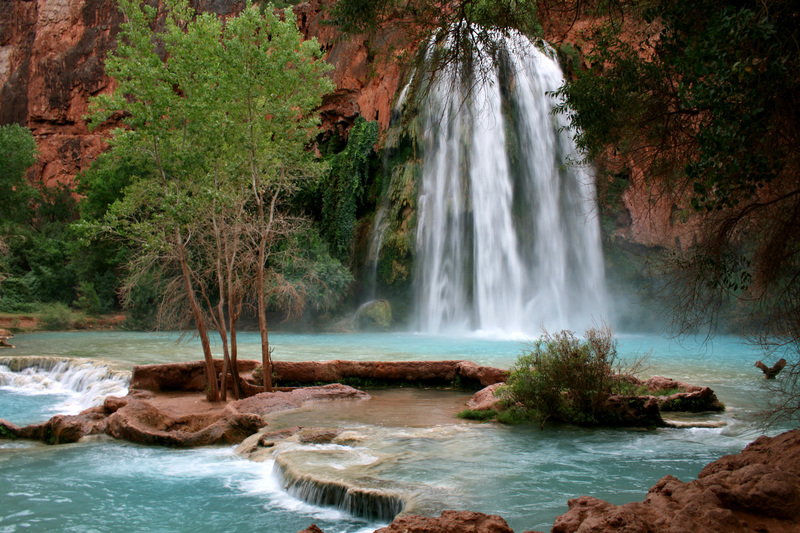 The picture perfect falls features a blue-green pool below which is excellent for swimming. 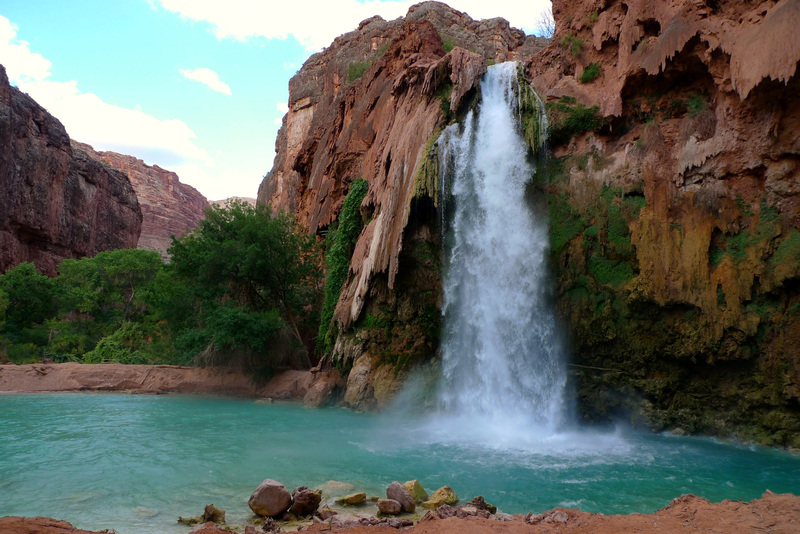 Havasu Falls is fairly difficult to reach by foot, requiring a drive to Hualapai Hilltop and then a 16 km (10 mile) hike to the Falls via the tiny village of Supai which is 3 km (2 miles) from the falls. 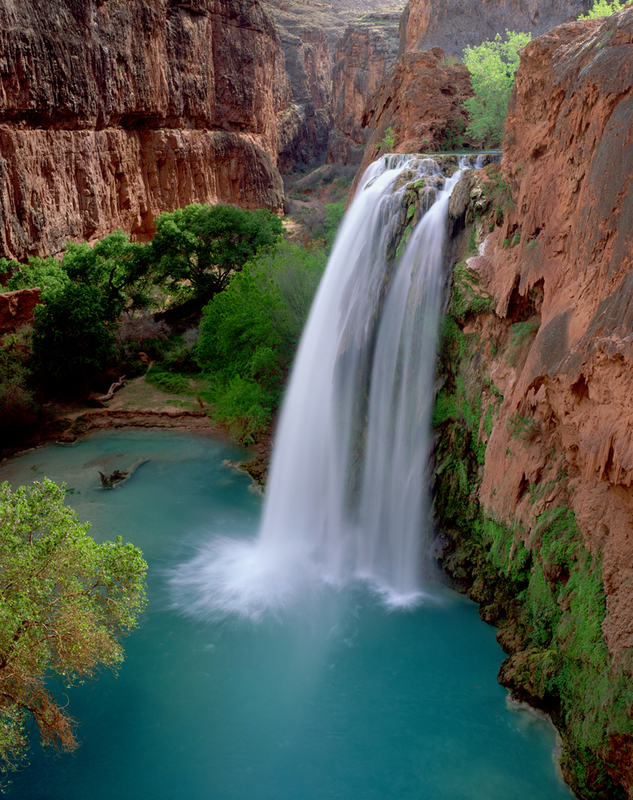 For those not up to the long hike, a helicopter ride to Supai can be had, followed up by a horseback ride to the falls. Uh, yea, I’d say these are beautiful places to visit. Wow! These images are beautiful. I went to the Grand Canyon last year and this has definitely been added to my bucket list. If only I can take a swim in one of those pools. any tips on how to get here??? I’m taking a group there in a couple of days. Plan a head about a year. You can drive right to the trail head from Las Vegas or Phoenix. We are hiking in and hired one pack horse to bring down our food and some equip. You can also ride down on horses or take the helicopters. I’ve been before as a teenager and loved it.